Self- confidence- We all know that parents would do anything to ensure their kid’s safety and well being. However, with the days becoming more hectic, parents cannot be with their children 24 hours a day and unfortunately places like the classroom, the playground, and the neighborhood have become increasingly more dangerous due to bullying and other outside factors. The skills the kids acquire in our judo and jiu-jitsu programs give them the self confidence to defend themselves not only physically but verbally and help to stop a situation from ever starting. Team work- Although both Judo and jiu-jitsu are individual sports and martial arts, We teach our kids that they must work together in order to get as good as they can. Our Advanced students frequently will work with our newer students to help them improve. This not only helps the newer student advance faster, but imparts the value of teamwork and selflessness to the more advanced student. 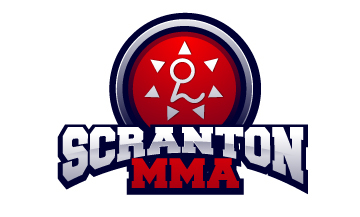 Respect- Disrespect of ANY kind is not tolerated on the mats at Scranton MMA, whether it be towards one of the instructors, or fellow classmates. Students are required to bow, shake hands, and say “thank you” to their fellow training partners after every sparring session.this is a simple rule; but one which can have a profound effect on your child as he/she grows. This is just a small sampling of the benefits of enrolling your child or children in the judo and jiu-jitsu program at Scranton MMA, we can make your child a Champion on (and off) the mat!